Late lunchtime - a handful of eaters and drinkers in. The pub is being extended and one wall was plasterboard - that and some unusually loud and inappropriate lunchtime music made the experience rather disappointing- as did the ale. Hopefully just a on-off. Whitstable - Cockle Warmer 4.70 Rather thin and lacking in flavour for a 4.7 ABV. Late lunchtime - bliss. After 2 pub stops without a drink and over 60 miles cycled to get here I was rewarded by a proper pub with more drinkers than eaters, friendly staff and a good selection of ales. I was worried when this pub changed hands a few years ago but the new(ish) owners have maintained the character and ambience. Beer and music festival the first weekend of July. Tonbridge - American Pale 5.00 Very nice if a little sweeet for an APA - getting a hint of honey. Lunchtime, fairly quiet - I had cycled 15 miles, much of it muddy off-road along the Pilgrims Way. Beer was always going to taste good after that. Angels & Demons (also uses McCanns branding) - Bombay Social 3.80 Beautiful. Wantsum - Red Raddle 5.00 A fine ruby ale - but “five hopped” flavour not really prominent. Was served rather cold. Late lunchtime - half a dozen eaters and a few drinkers at the bar. Big log fire as usual. Ramsgate Brewery (Gadds') - DogBolter Dark Porter 5.60 Smooth and tasty, perfect for December. Mid-evening. Busy with eaters and some drinkers but not crowded. Log fire on the go in the bar area. We sat by the other inglenook fireplace that used to house a round pool table. Hop Fuzz - Yellow Zinger 3.70 OK - but a rather weak flavour. Late Sunday afternoon. Many drinkers outside in the s on the substantial benches. We sat inside and watched a procession of customers being served through the window. A few late Sunday lunches being consumed inside. Nice, busy feel to the pub. Beer festival here bank holiday weekend. Ramsgate Brewery (Gadds') - DogBolter Dark Porter 5.60 A rich, smooth porter. Hopdaemon - Skrimshander IPA 4.50 One of the best pints of this I've had, very good condition. Evening just as the sun was dipping - new vey solid tables outside with a good few merry soles enjoying the warm evening. Mad Cat - Special Relationship Anglo-American Pale Ale 4.80 Top rate condition and a full, hoppy body typical of a very good APA. Sunday evening - a good few in. The "cash only" signs have disappeared - hopefully a good sign. Was a fourth beer on but didn't note it. Mid Sunday evening - a few in - bit surprised by a number of hand-written notices declaring "cash sales only". Hopdaemon - Green Daemon 5.00 Tip top condition - nicely complex flavours. Ramsgate Brewery (Gadds') - Festiv'Ale 3.80 Rather insipid for Gadds I felt. Our traditional stop on the way back from Wimbledon - need a real ale after that Pimms stuff. Late Wed evening - a good few in - some diners - some drinkers a little the worse for wear! Beer and cider festival here this weekend. Canterbury Ales (sometimes badged as Canterbrew) - The Pardoner's Ale 3.80 Fruity and in excellent condition. 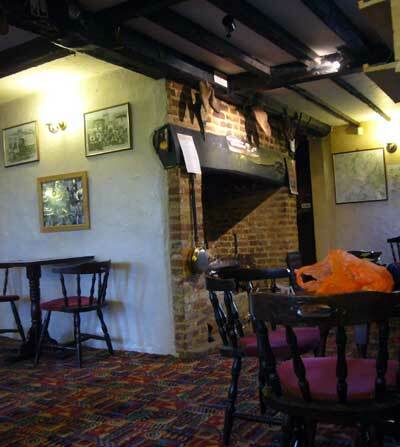 The pub is found in Charing, Kent, TN27 0HG. This pub is off the main road at the top of Charing Hill. Probably a good idea to use the OS grid reference to find it, if you haven't been before. 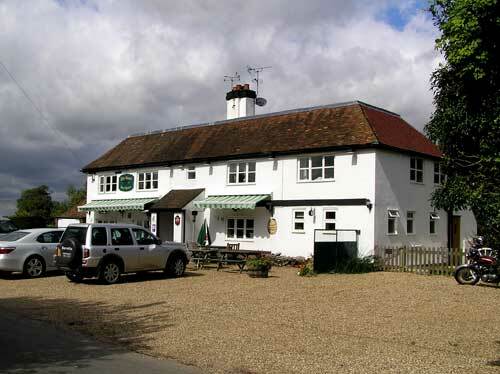 Friendly, busy pub on the junction of several country lanes. Always popular. Holds a regular summer beer festival that has around 30 beers. 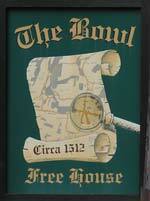 We have visited this pub 25 times, seen 118 different beers and tried 53 of them.